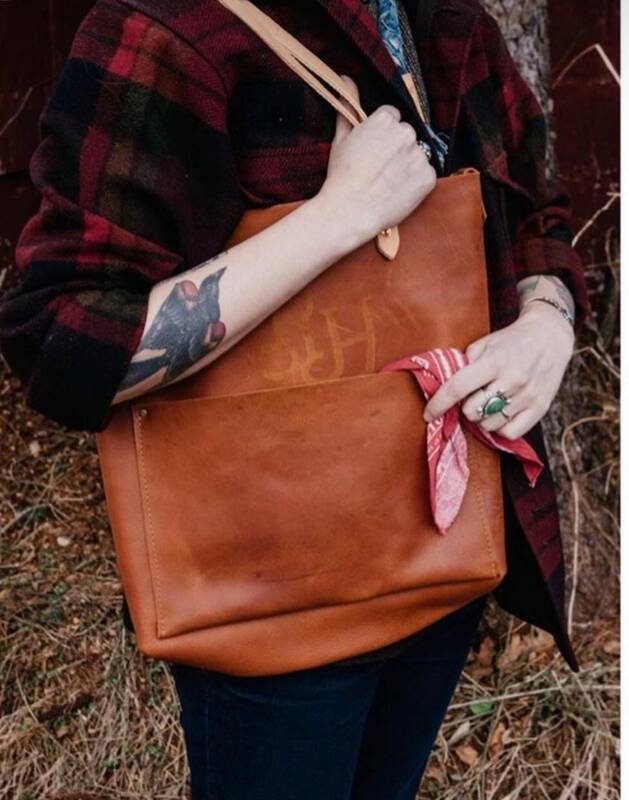 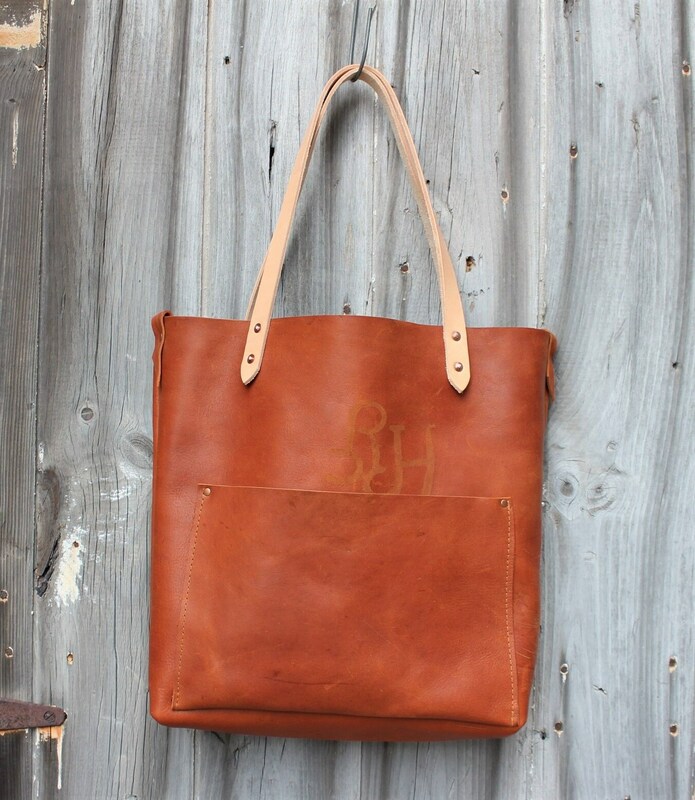 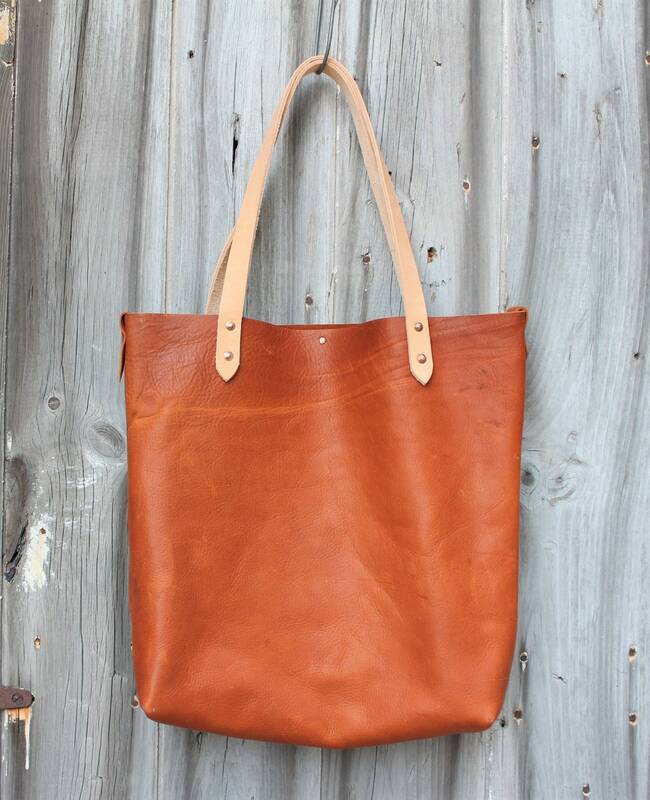 We chose this beautiful rich cowhide leather to create this one of a kind tote. 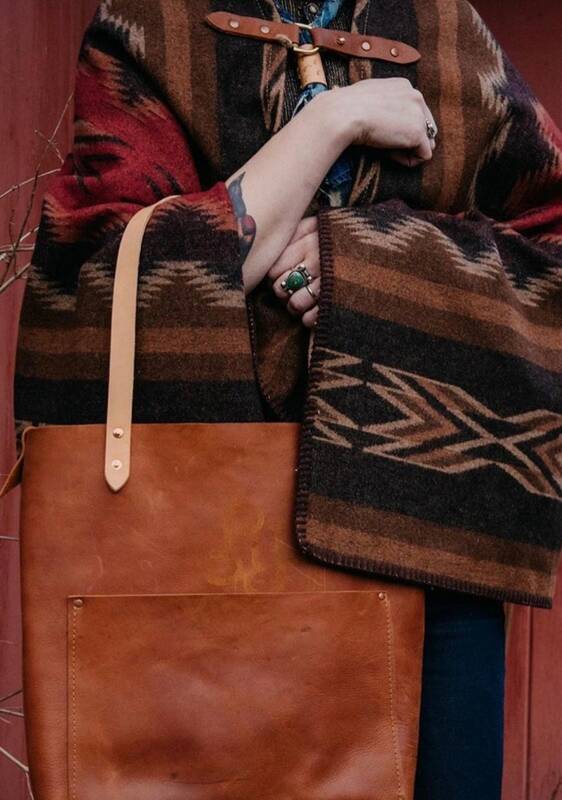 Not only is the hide a beautiful color, it's very sturdy with a great handfeel. 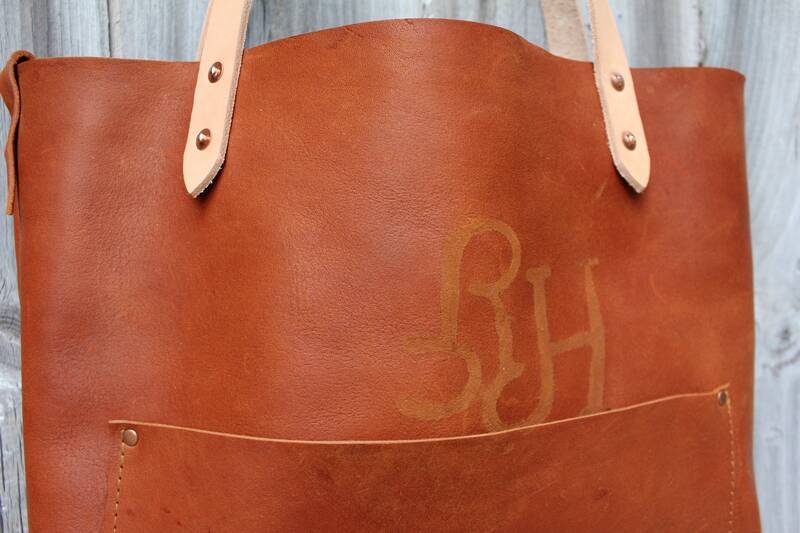 The best part is the original branding mark that we kept on the front side of the tote that looks to be the letters RH. 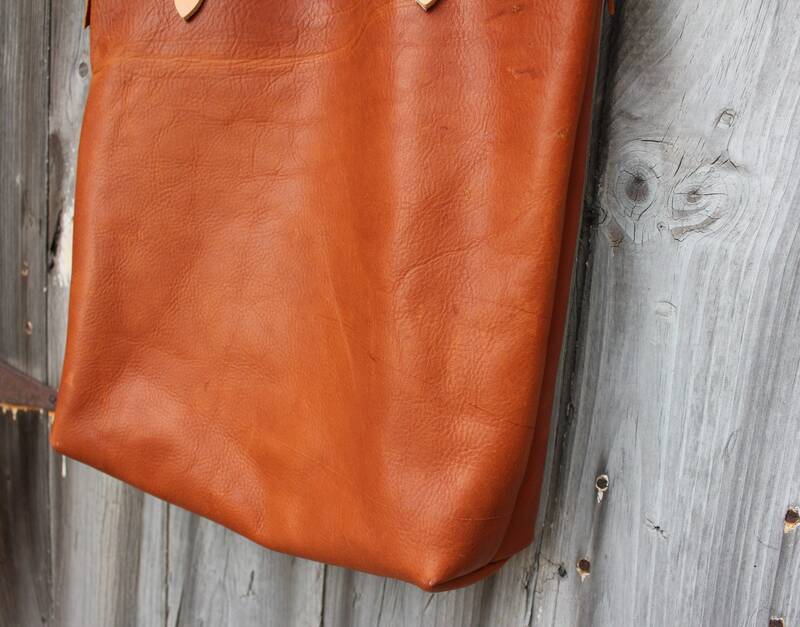 We also added a large front pocket to put loose things for easier access. 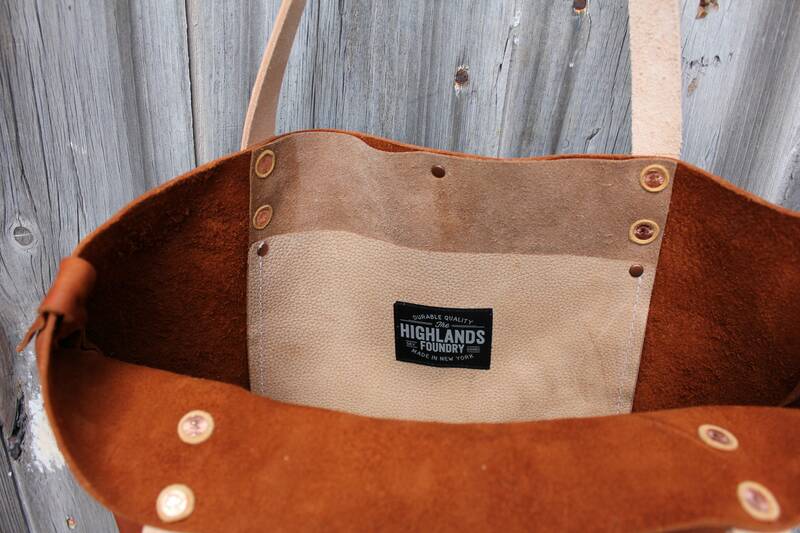 The straps are made from an 8oz. 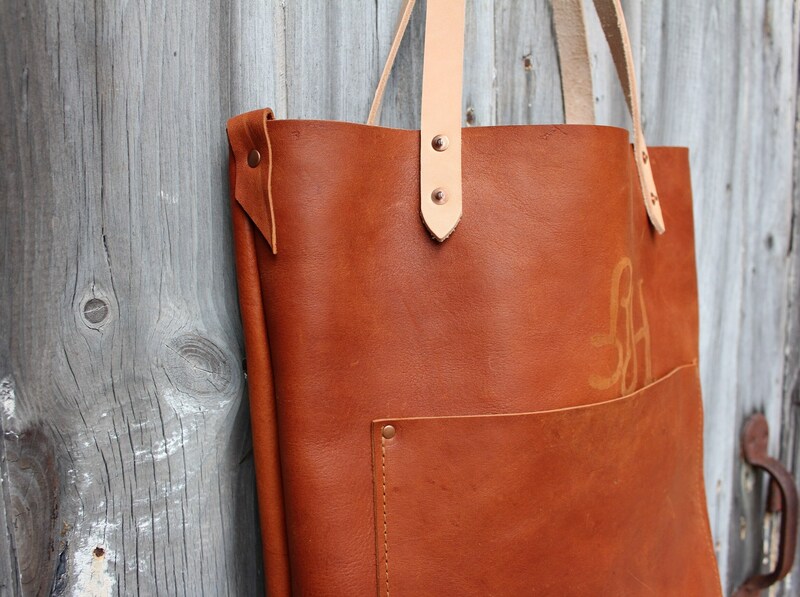 vegetable tanned leather and secured on with solid copper rivets. 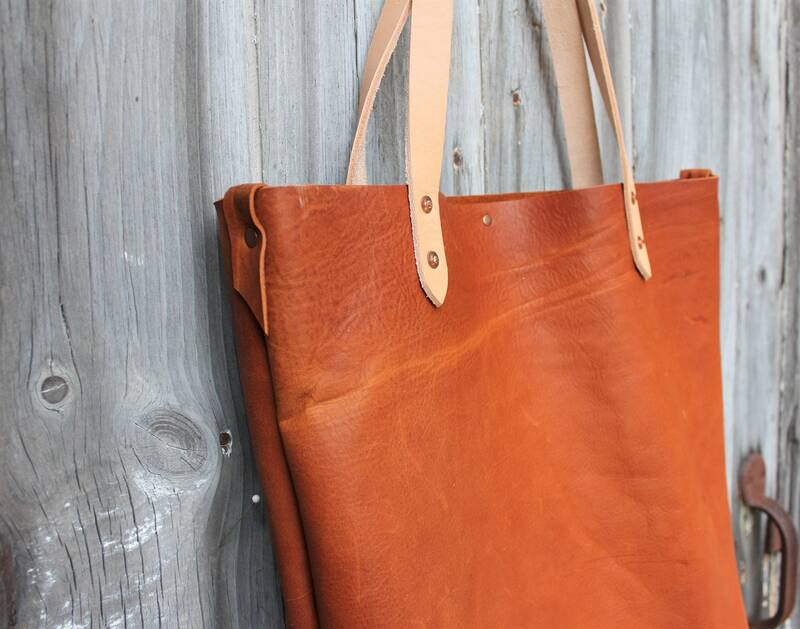 The straps will just continue to get better with age and develop a beautiful patina. 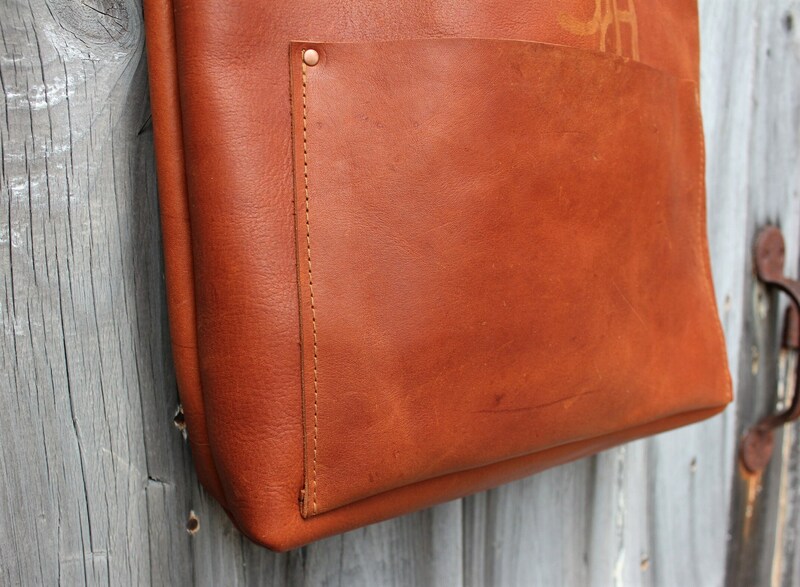 We added an interior leather pocket that is secured on with copper rivets.